A sound sculpture that pumped ambient desert noises and occasional music from Ennio Morricone’s soundtrack to Sergio Leone’s famous Spaghetti Western: The Good, The Bad, and The Ugly into the Mathaei Botanical Gardens in Ann Arbor, MI. This piece was inspired by the living stone plant, a succulent that grows very low to the ground and is often indistinguishable from the stones around it. Succulents are extremely adept at absorbing and storing water, billowing out when full, living off of their stores while they photosynthesize. The living stone plant in particular has its chlorophyll on the inside, and the top of the plant is translucent. 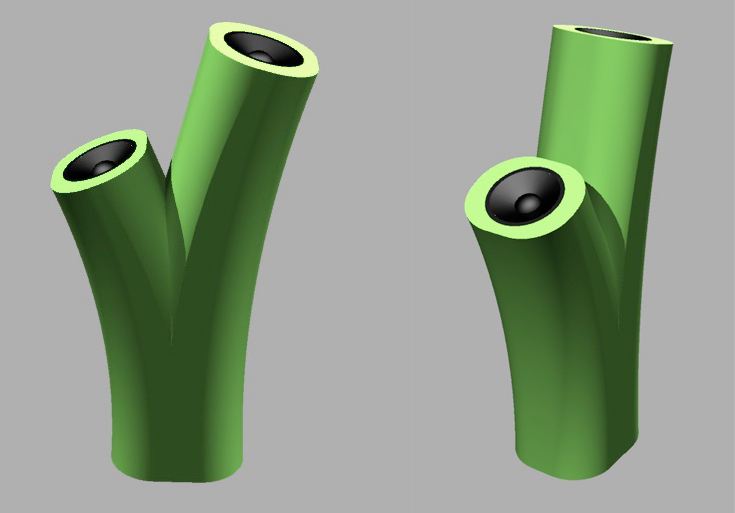 With the sculpture, Sonulent (Sonas being Latin for sound, mixed with the word succulent), I want to reverse this absorbing that the living stone does and instead release ambient noise from the top. 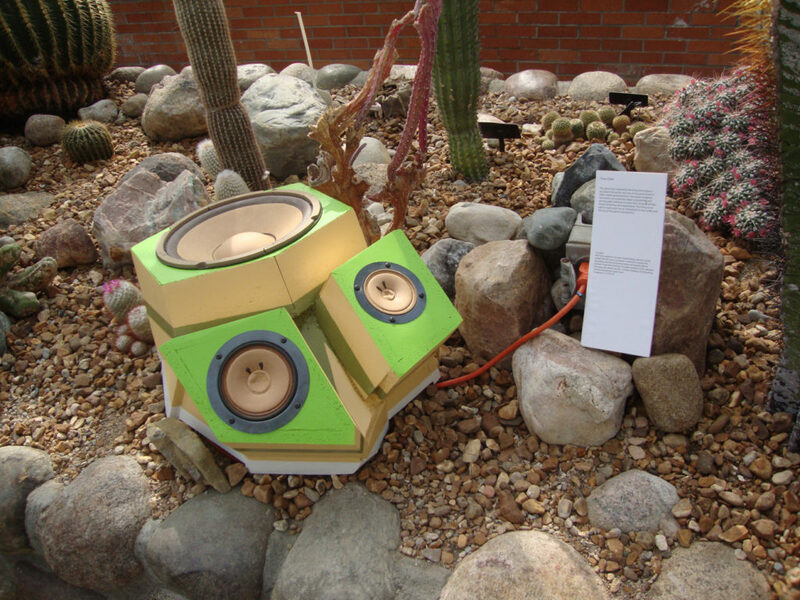 The piece contains three speakers that play soft, desert sounds–crickets chirping, wind blowing, songs from The Good, The Bad, and The Ugly, and the occasional coyote howl. 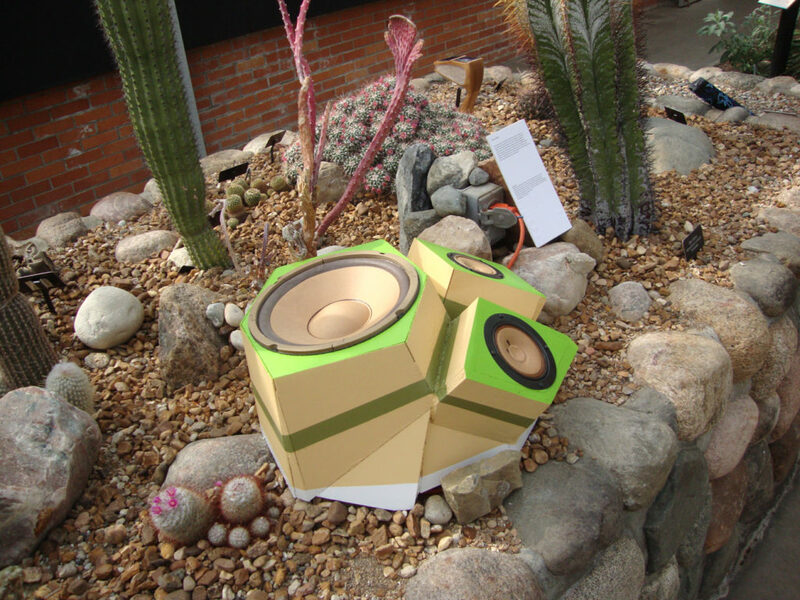 This piece was exhibited in 2013 at the Matthei Botanical Gardens, where it is pictured here.